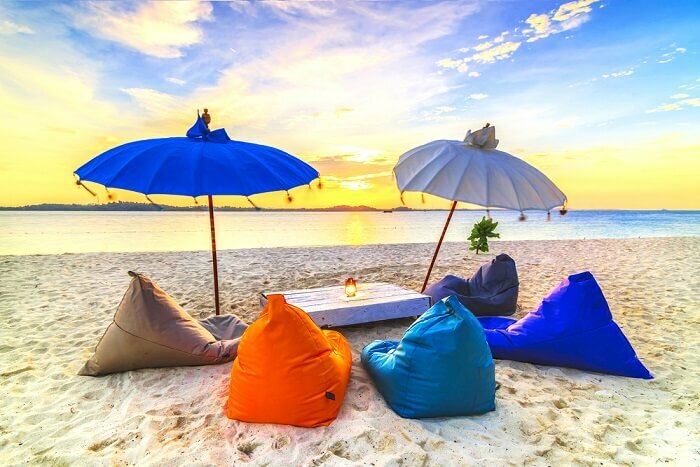 Bintan Island Guide: For A Rejuvenating, Adventurous, And Luxurious Retreat! 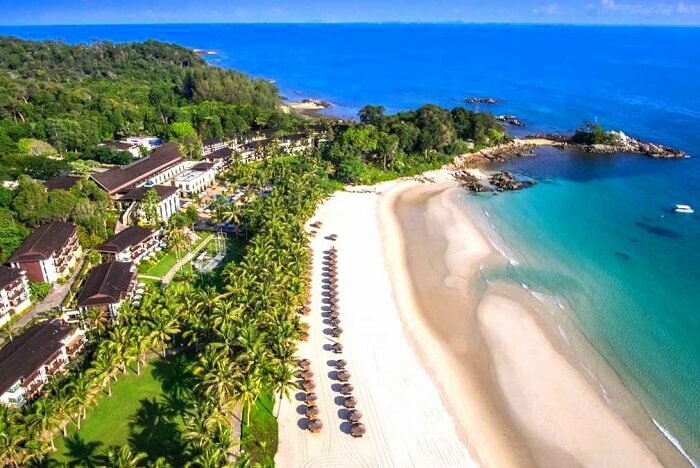 Bintan Island is a beautiful Indonesian island attracting visitors from far and near to its surreal white sand beaches. 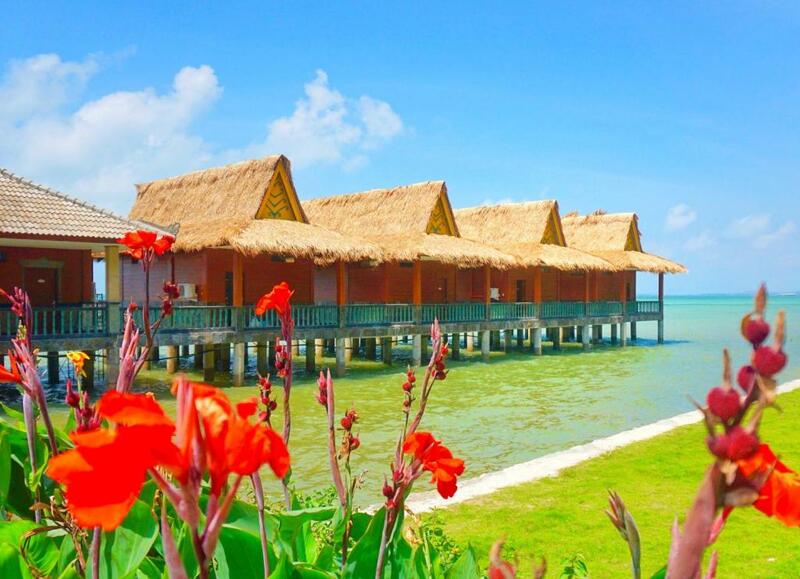 Being the largest amongst the Riau islands of Indonesia, it is a perfect exotic getaway with pleasant coastal temperatures and luxury resorts. The island offers a peaceful retreat amidst the lush green forested beaches. 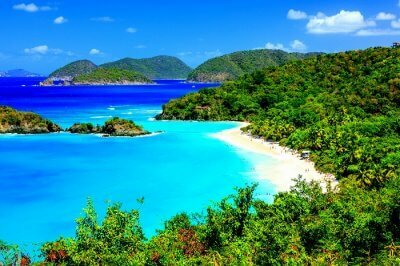 Soak in the beautiful sights of the sea as you sit under the swaying coconut trees on the beautiful white sand beaches. 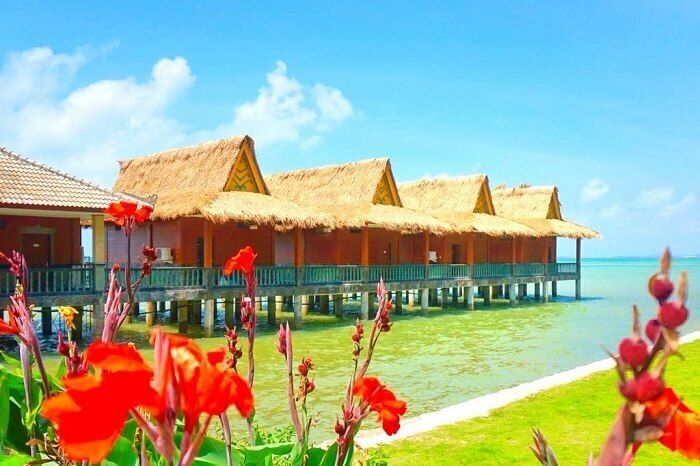 The Bintan Island is a year-round destination. It sports the spring season from March through May which is also the time when Bintan Island tourism thrives. The summers and fall from June to November see a decreased number of tourists, which provides one with accommodations at bargained prices. December to February again sees a lot of tourists as the Bintan Island weather is quite pleasant and the temperatures lie in between 29°C to 31°C. By air: Raja Haji Fisabilillah Airport in Tanjung Pinang is the airport in Bintan Island. One can fly here from Jakarta and Pekanbaru. By ferry: Traveling from Singapore to Bintan Island is easy and one can take a ferry from the Tanah Merah Ferry Terminal. It takes in between an hour or two to reach Bintan via ferry. Here are all the fascinating avenues you can explore on this island. 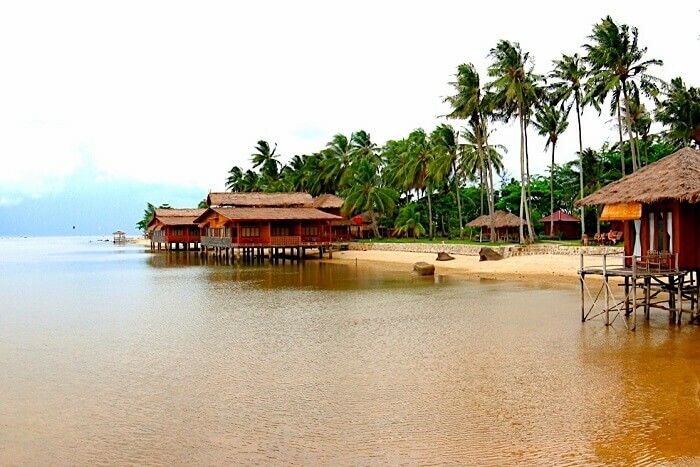 Panglong is a beautiful rustic village located at the northern tip of Bintan Island. The ambiance here is easy going and calm. The locals are very welcoming and one can step back into time, enjoying the little things at the village like learning about the lives of sea gypsies. 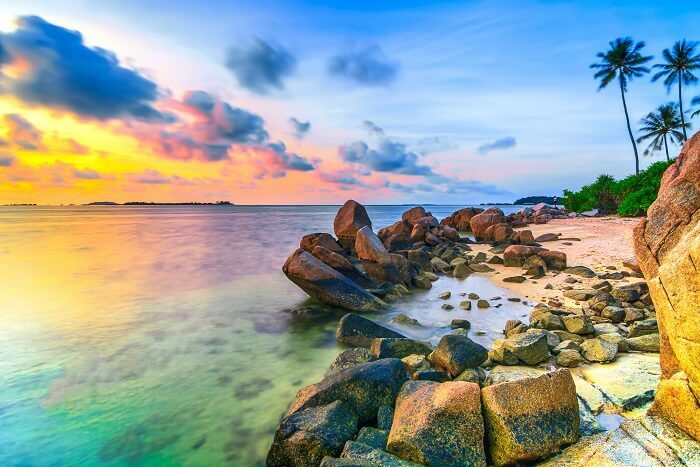 An ideal spot for beach lovers, Trikora is a stretch of multiple beaches in Bintan along its northeastern edge. 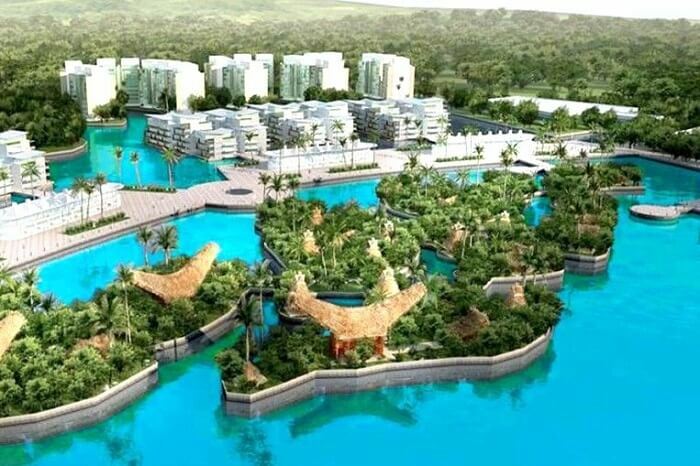 One can reach here through a two-hour ferry ride from Tanjung Pinang or the Bintan resorts. To explore the beaches, one can get a bicycle along on the ferry. Enjoy kite surfing, fishing and picnicking here. Grotto Santa Maria is an 18th-century creation of a Dutch pastor. 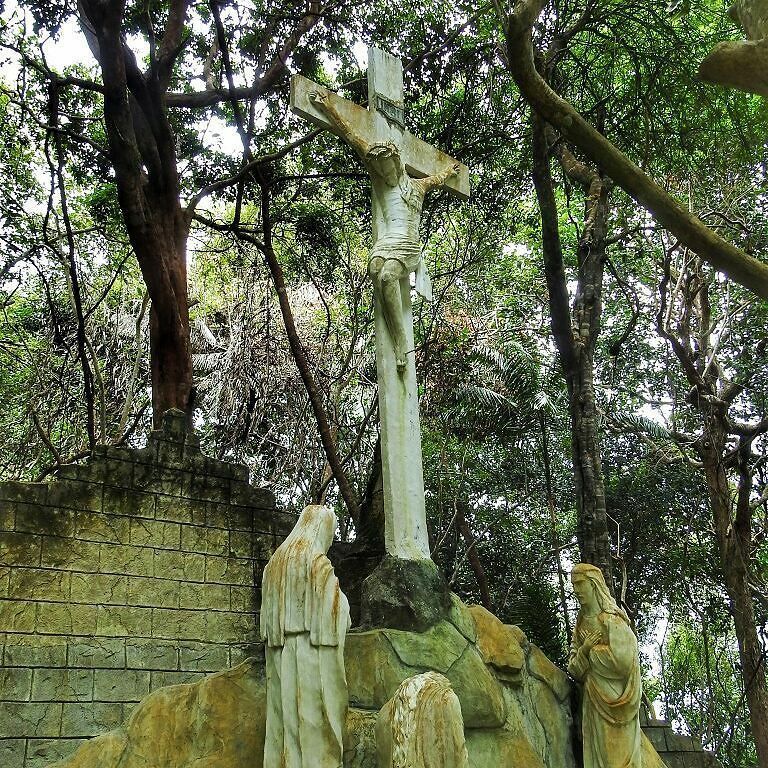 This beautiful place of worship is twenty minutes away from Trikora beach. The site has life sized sculptures which look of marble but are actually of limestone. 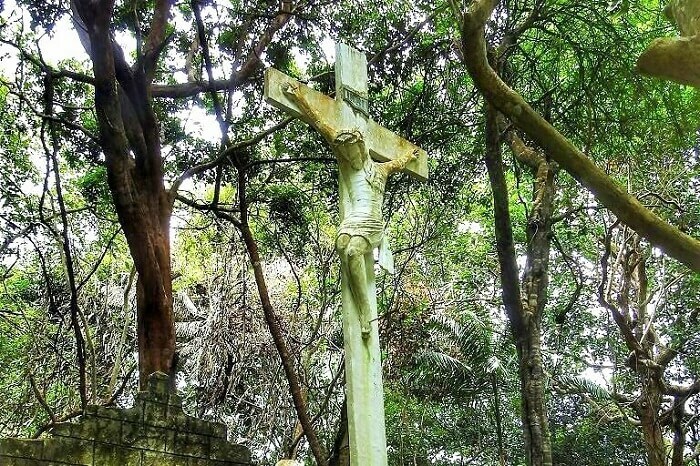 The entrance to the place leads to the “Stations of the Cross”, at the end of which lies the beautiful Grotto Santa Maria cave. 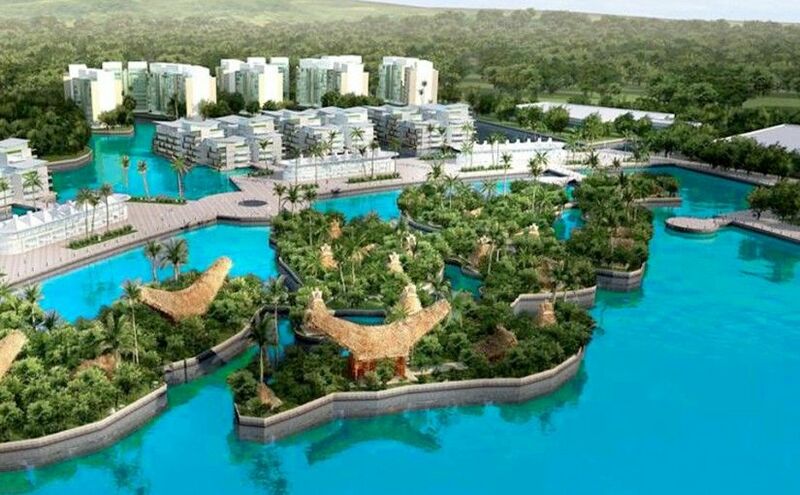 This is a waterfront resort city located on Bintan. 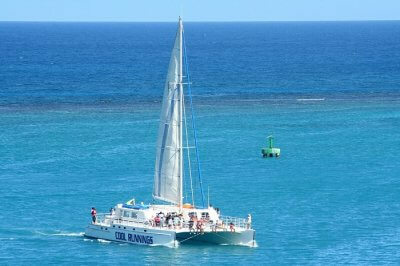 It is a complete package of adventure and leisure. 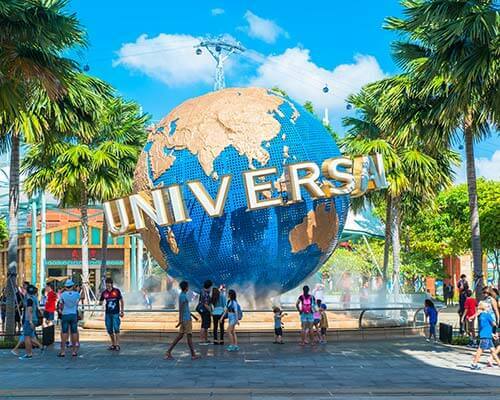 It has different packages for its visitors including activities like the Chill Cove Experience, Mangrove Tour, Aquaglide Sailboat, and more. 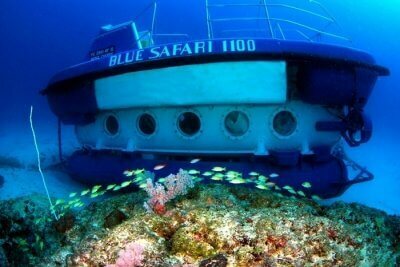 This is a must do thing at Bintan Island. 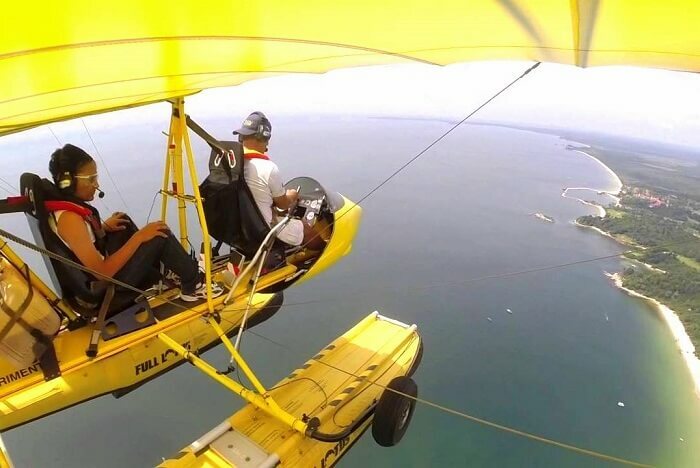 The Air Adventures Flying Club has been operating since 2014 at the Lagoi Bay Lake. 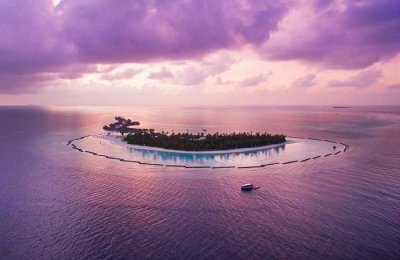 It makes you enjoy the unobstructed 360° scenic views of sparkling clear waters and pristine white beaches from high up in the sky. 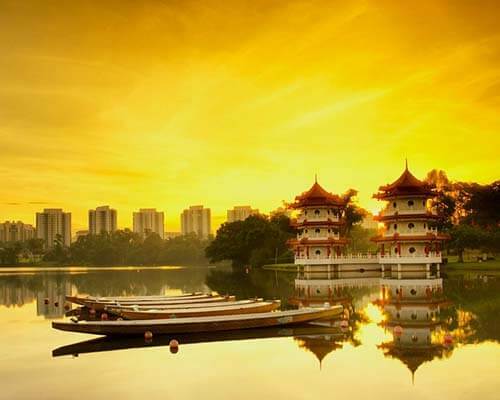 The experience of this open cockpit seaplane flights can be enjoyed at no place else in Asia. The Lagao Beach is a paradisiacal beach of Bintan. 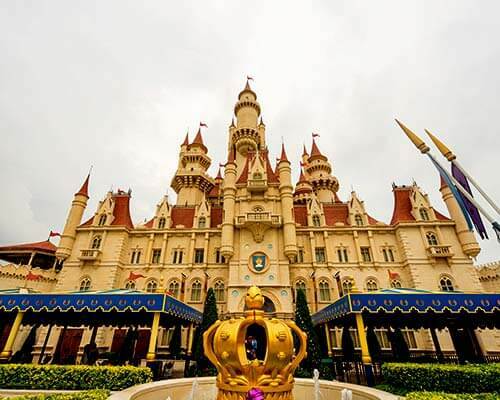 Located at a mere distance of 45 kms from Singapore, it sees a lot of tourists from the country. This is an amazing place to go fishing and one can find colorful platforms especially set up for those who want to try their hand at reeling and fishing. 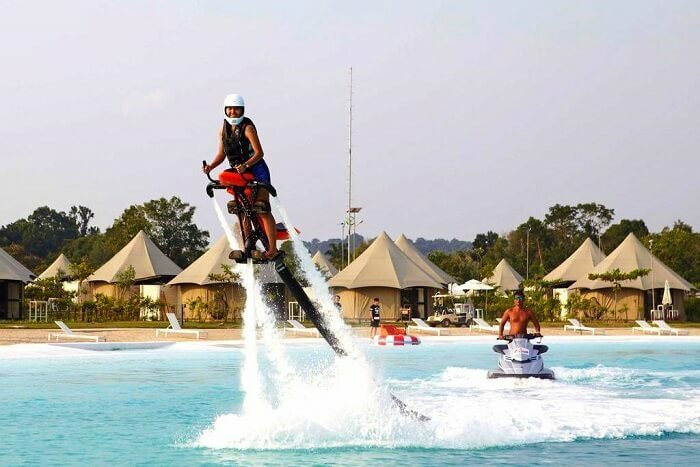 This is an adrenaline pumping water activity where you fly above the waters. 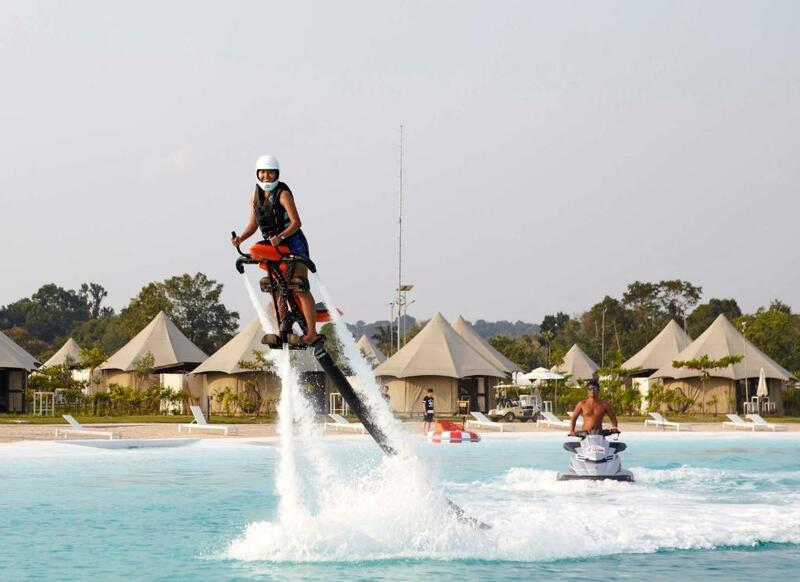 Riding the Jetovator is a once in a lifetime experience and thus a must do activity at Bintan. A few instructions and pointers from the helpful and trained staff beforehand makes one ready to enjoy this thrilling adventurous water ride! 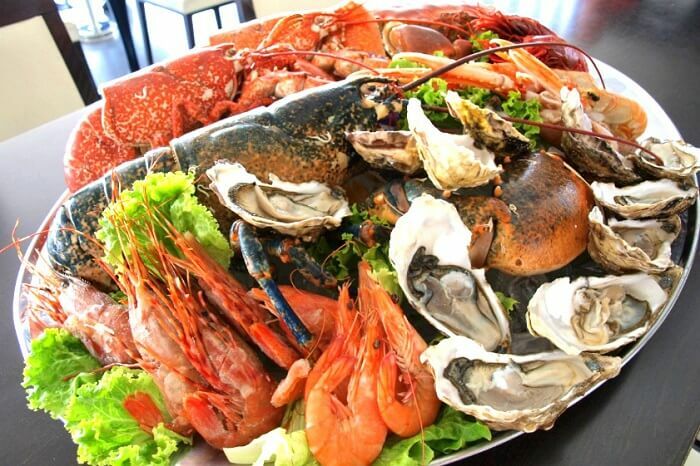 Bintan is a treasure trove of culinary delights. You will find some amazing street stalls to treetop restaurants at Bintan providing one with both amazing food and gorgeous views. 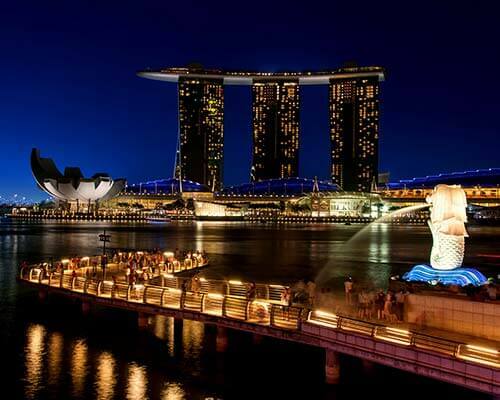 Another must visit place here is the Calypso Floating Bar which offers amazing sunset views alongside refreshing cocktails. 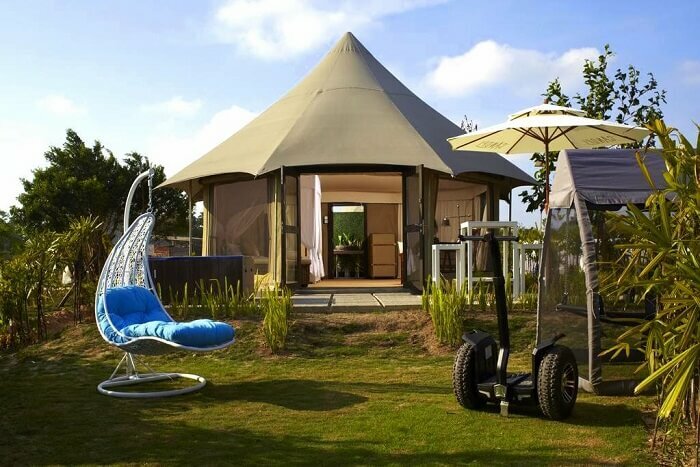 Located amidst the lush green forests of Bintan, the Canopi is an amazing glamping place. It is located within the Chill Cove at Treasure Bay. Apart from enjoying nature and the blue waters, the guests can enjoy the adventure activities which the Treasure Bay has to offer. 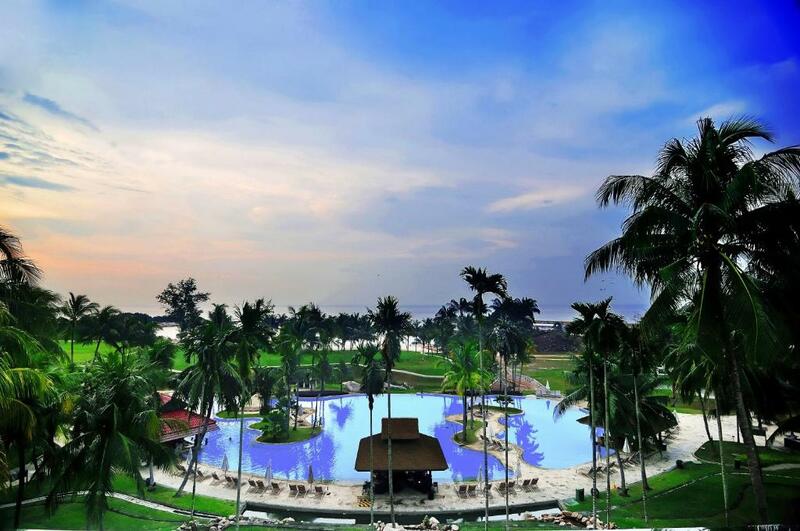 Situated on the beautiful Pasir Panjang Beach, Bintan Lagoon Resort is a tropical paradise. Overlooking the south China Sea, it gives its guests amazing sea views. It is a huge property with 450 rooms comprising of both suites and villas. The resort also boasts of two picturesque golf courses. The Bintan Island Club Med is less than an hour ferry ride from Singapore. It provides an escape to one’s total rejuvenation. The club overlooks the South China Sea, offering its guests amazing views. Swim in the calm waters of the beachside swimming pool and immerse yourself in the holistic wellness experience here. Nestled in the southeastern coast of Bintan Island, Bintan Agro Beach Resort is a perfect getaway. 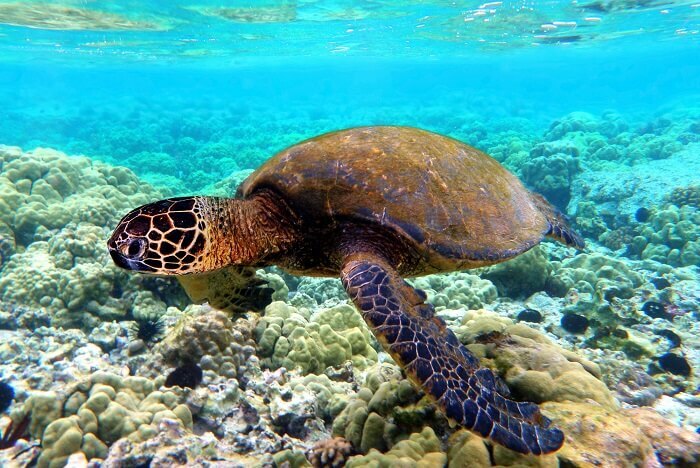 The beachfront resort offers one with beautiful turquoise water views amidst lush green nature. The warm hospitality makes it a spot of ideal retreat for all its vacationers. 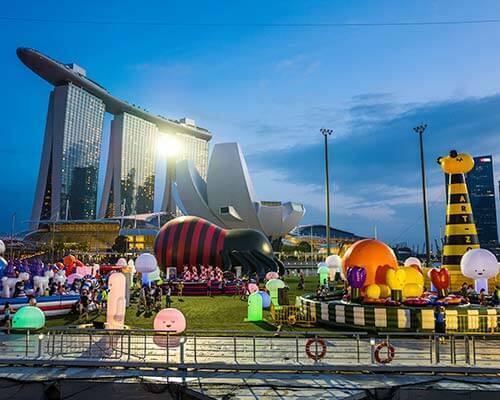 Enticed to visit? 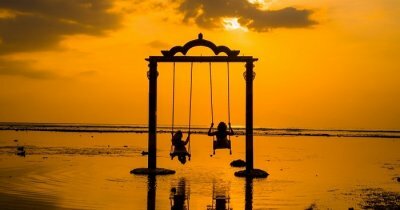 Book your trip to Indonesia now and enjoy a fun filled adventurous retreat to the Bintan Island!